Creativity is at the heart of Kering’s values. The Group thus contributes to the promotion of the arts, heritage and culture through a variety of projects. These include the opening of its head offices to the public during European Heritage Days and the exhibitions of contemporary artwork that are presented for the occasion. Sponsorship of the Héloïse and Abélard reliquary chest, which will enter the collection of the École nationale supérieure des Beaux-Arts de Paris, is yet another example. In 2016, following extensive renovation work, Kering moved its head offices to 40, rue de Sèvres, well known to Parisians as the home of Laennec Hospital until 2000. The site’s exceptional architecture and rich history led the Group to undertake the ambitious project that endowed this treasured jewel with a new vocation. For the 35th European Heritage Days, Kering opened its doors to the public for the third time. 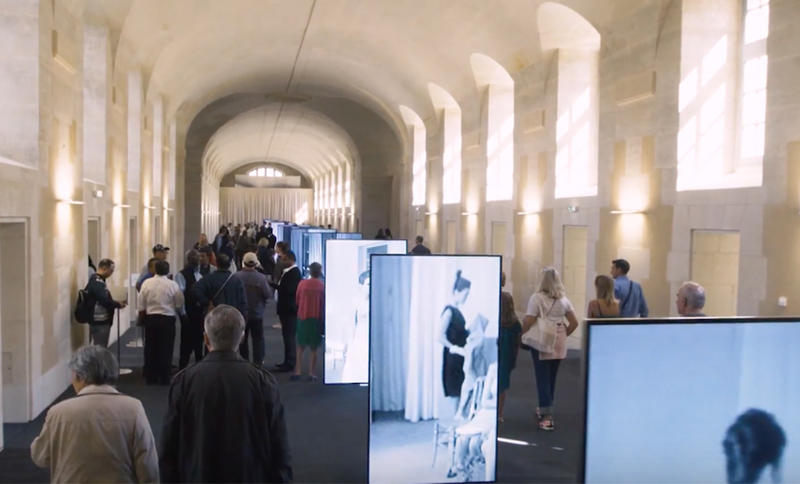 Some 12,000 people had the opportunity to view works of contemporary art from the Pinault Collection as well as the Héloïse and Abélard reliquary chest, which had never been exhibited before. Balenciaga dipped into its archives to offer visitors a first-time showing of films of its Haute Couture fashion shows during the 1960s.